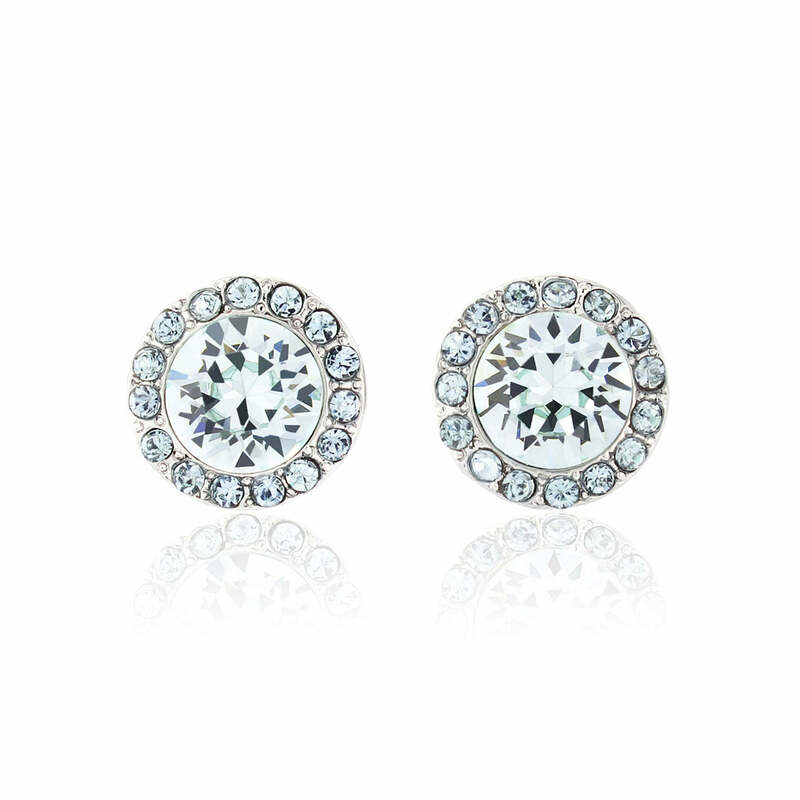 True to their name the pastel blue hues in these crystal stud earrings are mesmerising. As captivating as the clearest tropical ocean, cool and inviting pale blue Austrian crystals adorn our Waterfall of Love Earrings. Set in stylish silver tone, the tranquil hues of this chic pair adorn with a beauty that emanates a refined and calming vibe. Taking influence from 1950s pastel jewellery, Waterfall of Love are a collision of retro style and contemporary charm, resulting in a design that reflects the much-adored ‘modern-vintage’ look. Teamed with a crisp white shirt and jeans or accessorizing a silk floor-sweeping gown, the versatility of these blue stud earrings takes them to a must-own status. 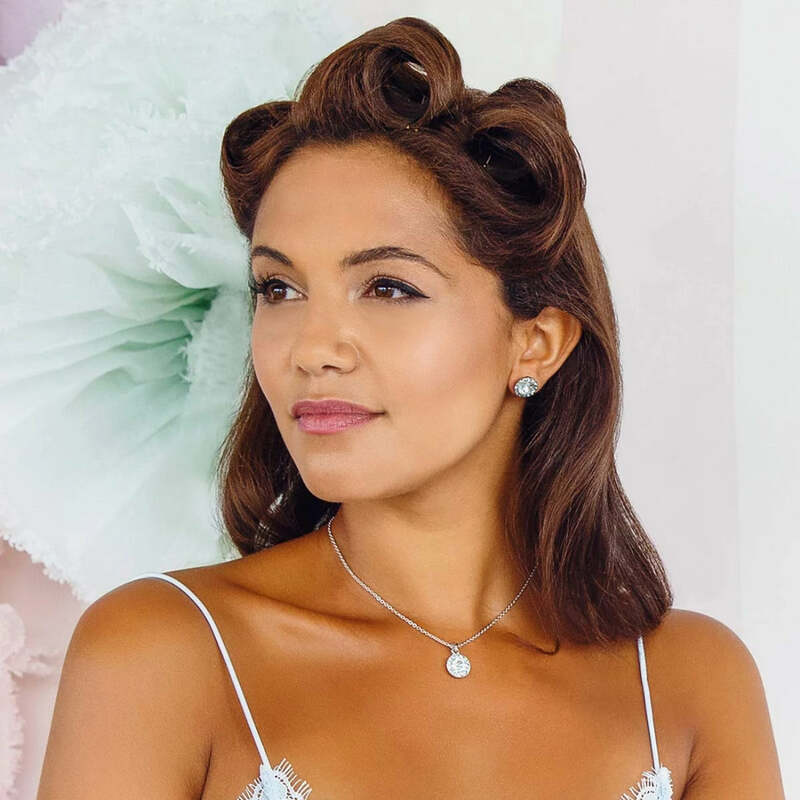 For brides with a beautiful pale blue wedding theme or as a timeless ‘something blue’, Waterfall of Love Earrings are the height of perfection. Subtle in colour yet nothing short of mesmerizing, they are sure to make a treasured bridesmaid gift that your bridal party will love wearing for many years after your special day.